Halloween is in just a little over a week away and I know I'm already counting down the days! It's one of my favorite days(or in college more like a week) of the year to see what costumes everyone is able to come up with. 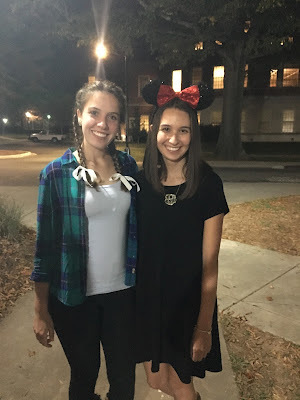 In high school, I was never into dressing up but in college, I have really developed an appreciation for it, so I thought I would share some that I've done in the past, as well as some I've found online and think are just too cute not to share. When I needed a costume literally in a days notice, this is what I came up with. 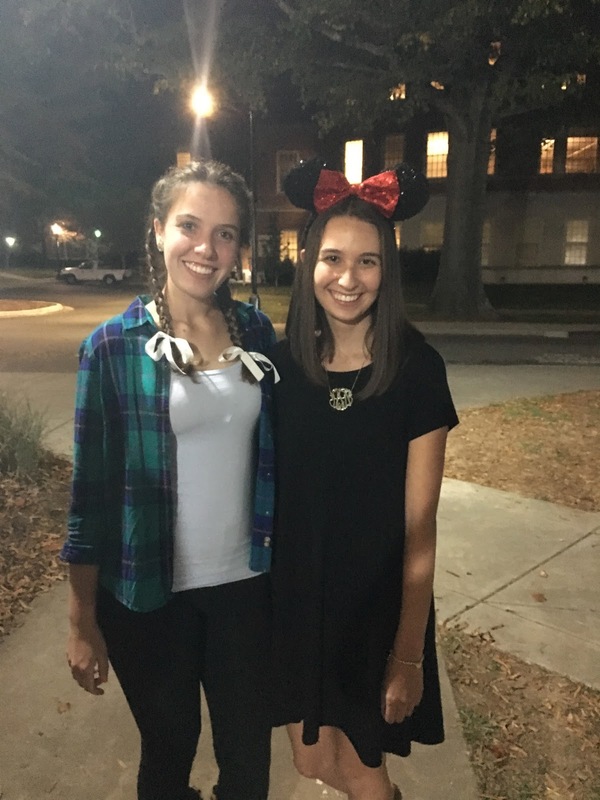 Pair a black dress with Minnie Mouse or cat ears for literally the easiest costume ever. My friend dressed up as a cowgirl, also a classic and not too difficult to execute. Actually my favorite costume ever from a recent date function. I dressed up as a girl scout, all you need is a khaki skirt, white shirt, a sash, and a big bow. Super cute and it's something different! 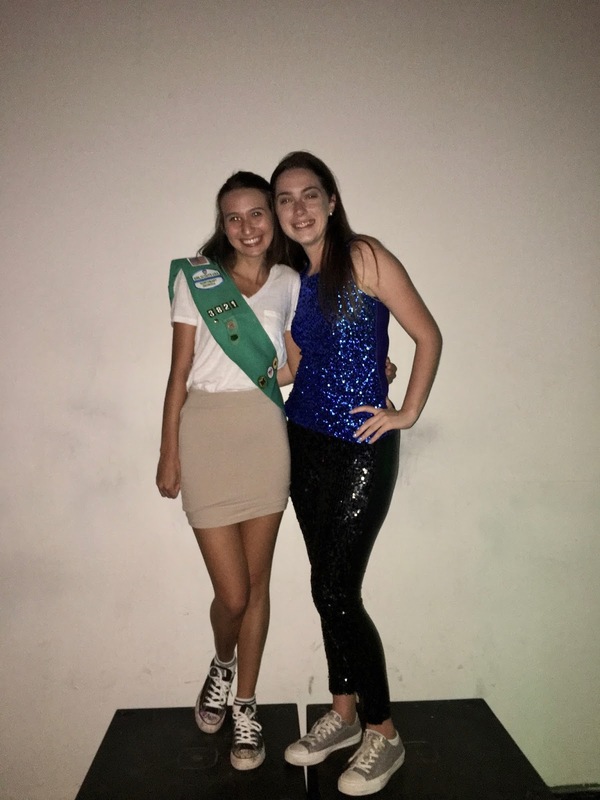 My friend in the photo dressed up as glitter which is super cute if you have a lot of sparkly clothes. But seriously if you have a rhyme without reason function, girl scout and work out is the way to go! My most recent date function was pick a date theme, so basically you pick a day of the year and dress up as it. I picked national donut day obviously, so I paired a fun donut t-shirt with some donut leggings. I know I'm probably the only one who loves donuts enough to wear this outfit, but a good and simple costume suggestion is always some fun leggings and a graphic tee! I'm obsessed with this costume; it's so easy but so cute and fun. 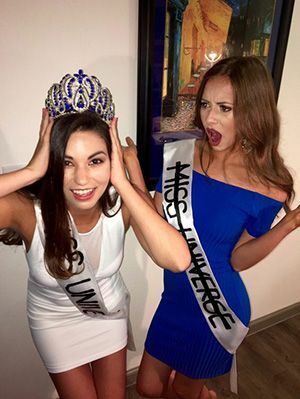 All you need is that party dress we all have in our closet, a sash and a crown! Plus who doesn't want an excuse to wear a crown? 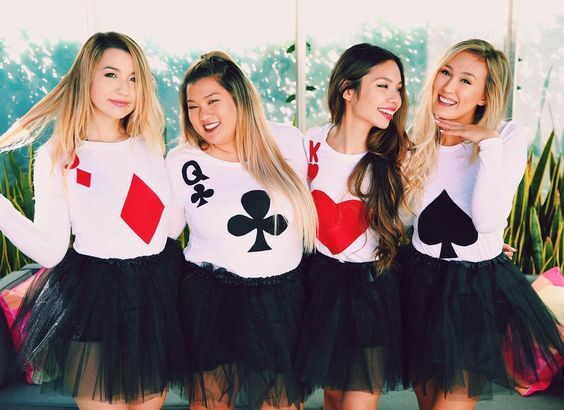 This is another cute costume, especially to do with friends. Get a white t-shirt and draw the design of a playing card on it. 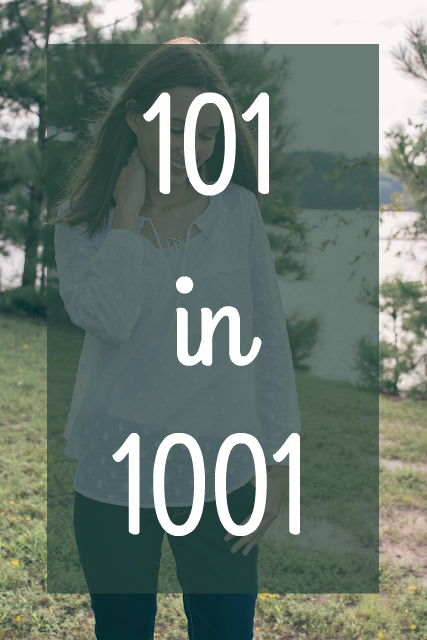 Pair it with a black skirt or some simple black leggings. I have two super cute costumes planned this year, that I just can't wait to wear! I'd love to hear what you all are going to dress up as and how you came up with the costume.